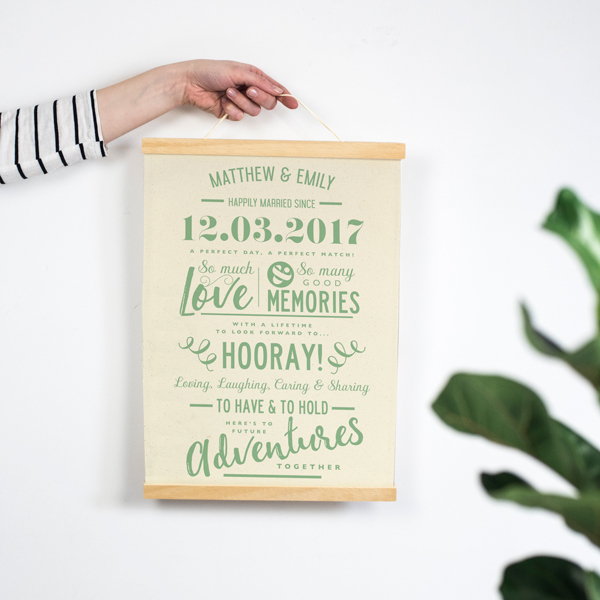 This personalised linen anniversary print makes a unique gift for a 4th wedding anniversary – linen being the 4th anniversary. 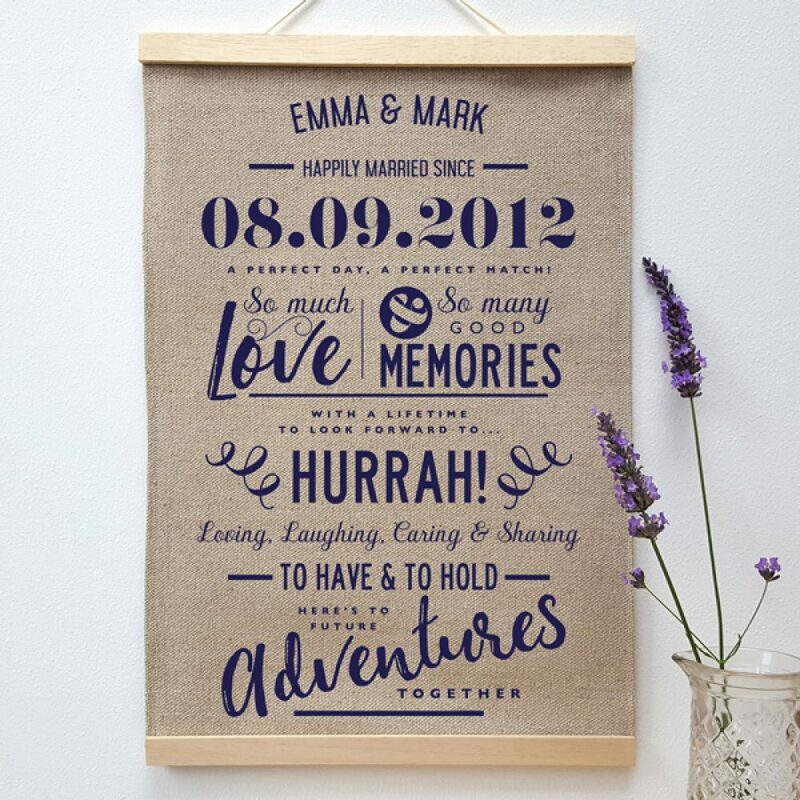 Printed directly onto beautiful linen and placed inside a contemporary slimline wooden hanging frame which holds the linen print top and bottom. 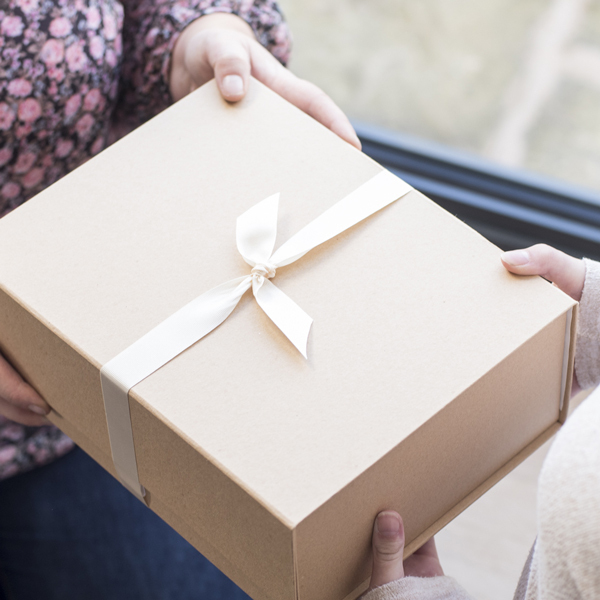 An anniversary gift to be treasured. This personalised linen anniversary print is a gift that will be treasured for years to come. The natural coloured linen provides a beautiful canvas for our typrographic personalised linen anniversary print to sit on. We’ve chosen three deep inky shades that work beautifully on the natural light taupe colour of the linen. 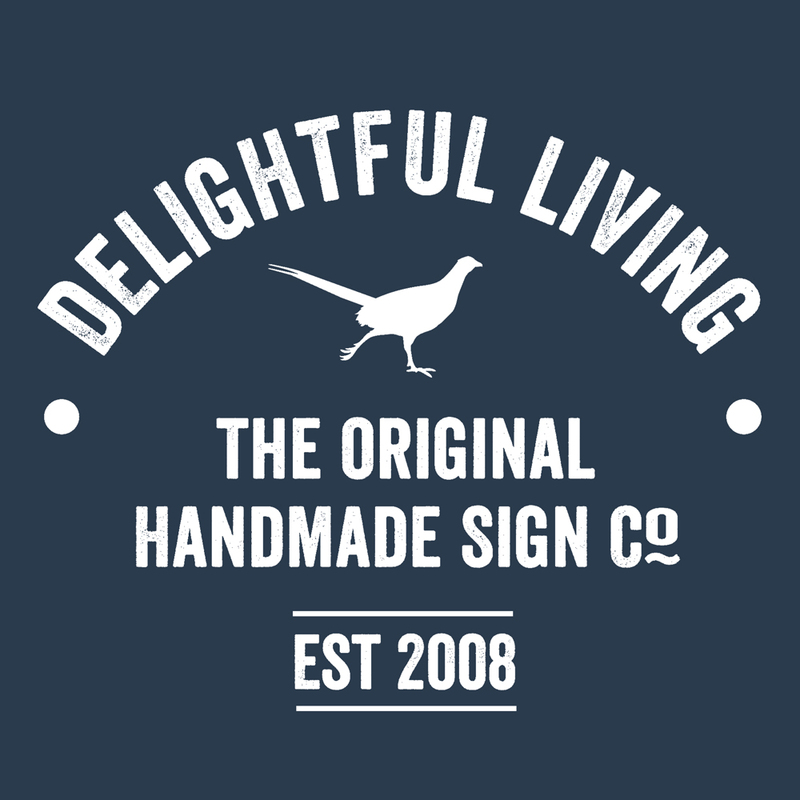 Choose from beetroot, black or navy for the print, see the product images to see how each colour looks. 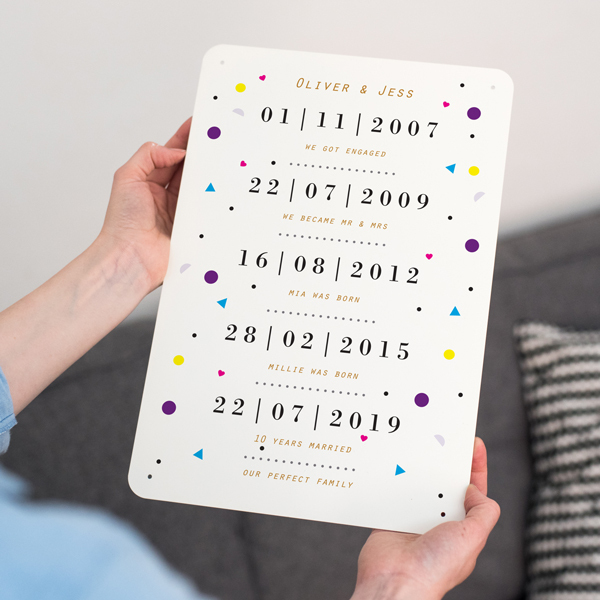 The couples names are printed on the top line, followed by the wedding date and an exclamation word such as ‘hooray!’, ‘hurrah!’ or ‘woohoo!’ . The rest of the wording is fixed and cannot be personalised. Each personalised linen anniversary print comes with a contemporary slimline magnetic wooden hanger ready for hanging.